When a firm merges or gets acquired, the people side of integration is usually pushed to be dealt with at a later time. But can the people aspect of merger integration be handled in a silo, away from the rest of the effort? The recent GSK Merger with Hindustan Unilever was seen as strategic by many, and while the markets cheered this merger, the stocks of both GSK and HUL were up. Hopefully, 4000 GSK employees also share this enthusiasm! 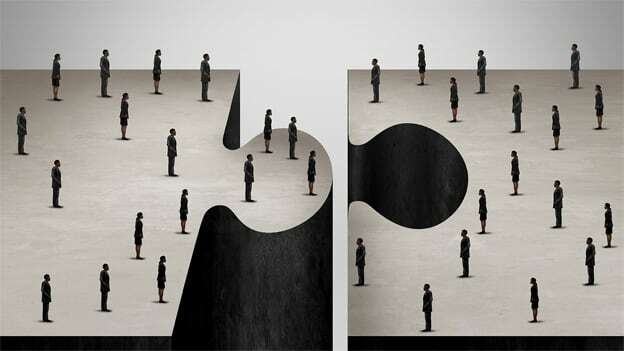 Usually, employees of acquired organizations view mergers with suspicion as they are likely to be a part of the collateral damage sooner or later. And when two firms come together, there is always an overlap of functions. The people side has complex dynamics and the emotions of anxiety, fear, and stress are common for most. Besides strategic assets like customers, products, geographies, balance sheets, the additional asset is talent. But, the irony is that talent itself becomes a casualty in such scenarios. But can people challenges be really avoided in mergers and acquisitions or put off until later? In any M&A, one thing is common — there is always a dominant partner who calls the shots and the other is at the receiving end. Though the acquirer buys the target firm as it is strategic or complimentary, the owner mindset creeps in. The buyer tends to put his own trusted leaders in the acquired firm, which decreases the trust amongst the employees there. The last time we witnessed something on-the-contrary was when HP bought Compaq. In India, the entire Compaq leadership team was in leadership roles in the merged entity which brought in unique dynamics. An ideal leadership team at the merged entity should have equal participation from both entities. Employees of the acquired company cannot help but feel lost as they tend to think that the acquirer is superior post-merger and has control over the future. If the firm is in a distress mode or much smaller in size compared to the acquirer, the anxieties are bound to be higher. I recollect the first few meetings with the leaders of our acquirer post a merger of equals. It felt I was in a job interview or sort of defending my job. I felt miserable, I can’t say it was because I felt we were acquired or we were treated that way. An exception can be cases like Microsoft’s acquisition of LinkedIn. In this case, the acquired company brought in skills and businesses which MS did not possess. So from a people’s point of view, almost everyone at LinkedIn became an asset. Also in cases of complementary acquisitions, overlaps tend to be minimal limiting people related redundancies. The missing piece in most pre or post mergers or acquisitions is a strong HR. Many acquirers give very little responsibilities to HR leaders to take charge of the integration. Most of the mergers are led by business leaders who take the ‘heart’ out of any acquisition. At the end of the day, M&As are meant for business acceleration or survival for the acquired or merged entities. Many decisions including redundancies have to be taken swiftly and ruthlessly. So, severance packages, outplacements are all done in a time bound and formula driven manner. This enables uniformity across the organization and helps in speedy and fair transactions. But, mergers only work when there is people to people connect. The severance cheese however generous can’t erase the feeling of “not wanted”. A meaningful HR presence can minimize if not eliminate the feeling of being victimized. Astute HR leaders can integrate two organizations better but it can become difficult as HR can be an overlapping function in merged entities and maybe fighting for their own survival. Every merger has its share of power centers and leaders from both sides try to protect their turfs. Till there is substantial security and trust in the new leadership, there will be unrest amongst the leaders and their followers. There will be transactions but no real progress till the interests of the leaders have been assured. Most people complain of politics during mergers which is nothing but leaders fighting for their presence. The highest level of senior-level exits happens in any organization during M&As as many people quit out of fear or negligence than reality on the ground. The sheer anxiety of what’s going to happen freaks people out. Employees assume lack of communication also as a deliberate act to force them out. If one does a before and after analysis of key talent presence, it would be a good indicator of how a merger has been managed. In a nutshell, M&As bring many careers to an interim freeze. You would commonly hear decision-making paralysis for a few months or a couple of years. Increments, promotions, development programs, expansions all come to a halt. For many, the integration period could be very crucial in their personal context. The longer it takes to integrate, higher would be the loss of good talent. If one does a before and after analysis of key talent presence, it would be a good indicator of how the merger has been managed. Kamal has recently cofounded Xpheno (pronounced as Xfeeno) a specialist staffing firm. Previously, Kamal was the Managing Director of Kelly Services India & Malaysia, prior to which, he was APAC head of Ma Foi Randstad based out of Kuala Lumpur.